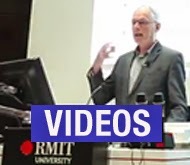 During 2008, US environment writer Bill McKibben and colleagues established the climate activist group 350.org, with the aim of spreading the message that policy targets need to reflect the scientific imperative. The campaign has harnessed many people and organisations' collective energy and has been successful in the United States, and internationally at such forums at COP14 in Poznan, in helping to educate people that targets such as 450 ppm (per million) carbon dioxide in the atmosphere are not acceptable, that the current level of carbon dioxide (387 ppm) is too high for a safe climate, and so our action must be zero emissions and a cooling of the planet. The important question now is whether 350 is a target based on the science, or one that is judged to be politically appropriate. The US cannot muster the resources and resolve necessary to lead the world to safety if your administration does no more than plump domestic "green jobs" and "equitable stimulus" programs – progressive rhetoric for the stump and nothing more – and endorse decades-old cap & trade policy ginned up by environmentalists looking for policy acceptable to corporate "climate action" partners. As our first organizer President, you know that the right course of action is not to tinker with the details of policy… but to rewrite the terms of the debate. The problem is that there is no conflict and it is therefore difficult to bring the resources of the "bully pulpit" to bear. The bold move is to do nothing. It will require immense determination to forestall the political forces coiled in anticipation of quick administration action on climate, but you must stiff-arm your advisers, step outside the Congressional climate quagmire, leave environmentalists hanging, and delay international engagement. It is crucial that the nation does not move directly from the old conflict, "is global warming real?" directly into action, without first facing the terrible questions "how bad is it?" and "what do we need to do? So what do we really need to do? The target of 350 ppm was embraced by Al Gore at COP14 in Poznan: “Even a goal of 450 ppm, which seems so difficult today, is inadequate,” said Gore, adding we “need to toughen that goal to 350 ppm.” In a blog from Posnan, Australian Conservation Foundation (ACF) CEO Don Henry called Gore’s speech “the high point” and wrote that Gore “said that even stabilizing greenhouse emissions at 450ppm was inadequate and that the science was indicating the we would need to move to 350ppm.” But Henry has not indicated whether ACF, whose corporate branding uses Gore prominently, would adopt this target or whether ACF’s Gore presenters would be permitted or encouraged to include Gore’s new target in their public presentations. In Poznan the Least Developed Countries caucus and the International Youth Climate Network supported the 350 target, and 350.org used the occasion to announce an international day of action on 24 October 2009 to spread the number. 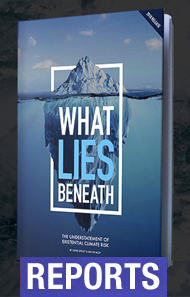 The final piece of the puzzle came early this year, and again from James Hansen. Twenty years after his crucial testimony, he published a paper with several coauthors called ‘Target Atmospheric CO2’. It put, finally, a number on the table-indeed it did so in the boldest of terms. ‘If humanity wishes to preserve a planet similar to that on which civilization developed and to which life on Earth is adapted,’ it said, ‘paleoclimate evidence and ongoing climate change suggest that CO2 will need to be reduced from its current 385 ppm to at most 350 ppm’. Equilibrium sea level rise for today’s 385 ppm CO2 is at least several meters, judging from paleoclimate history. Accelerating mass losses from Greenland and West Antarctica heighten concerns about ice sheet stability. An initial CO2 target of 350 ppm, to be reassessed as effects on ice sheet mass balance are observed, is suggested. Stabilization of Arctic sea ice cover requires, to first approximation, restoration of planetary energy balance. Climate models driven by known forcings yield a present planetary energy imbalance of +0.5-1 W/m2. Observed heat increase in the upper 700 m of the ocean confirms the planetary energy imbalance, but observations of the entire ocean are needed for quantification. CO2 amount must be reduced to 325-355 ppm to increase outgoing flux 0.5-1 W/m2, if other forcings are unchanged. A further imbalance reduction, and thus CO2 ~300-325 ppm, may be needed to restore sea ice to its area of 25 years ago. The central point is that Arctic sea-ice is undergoing dramatic loss in summer, having lost 70-80% of its volume in the last 50 years, most since 2000. Without summer sea-ice, Greenland cannot escape a trajectory of ice-sheet loss leading to an eventual sea-level rise of 7 metres. Regional temperatures in the Arctic autumn are already up about 5C, and by mid-century an Arctic ice-free in summer, combined with more global warming, will be pushing Siberia close to the point where large-scale loss of carbon from melting permafrost would make further mitigation efforts futile. As Hansen told the US Congress in testimony last year, the “elements of a perfect storm, a global cataclysm, are assembled”. In short, if you don’t have a target that aims to cool the planet sufficiently to get the sea-ice back, the climate system may spiral out of control, past many “tipping points” to the final “point of no return”. And that target is not 350ppm, it’s around 300 ppm. 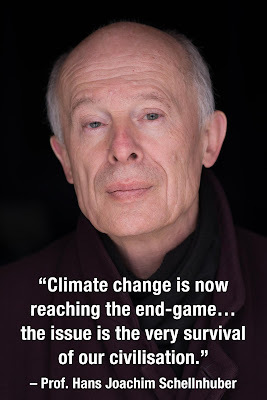 Professor John Schellnhuber, director of the Potsdam Institute for Climate Impact Research in Germany, told the Guardian that only a return to pre-industrial levels of CO2 would be enough to guarantee a safe future for the planet... He said even a small increase in temperature could trigger one of several climatic tipping points, such as methane released from melting permafrost, and bring much more severe global warming. ‘It is a very sweeping argument, but nobody can say for sure that 330ppm is safe,’ he said. ‘Perhaps it will not matter whether we have 270ppm or 320ppm, but operating well outside the [historic] realm of carbon dioxide concentrations is risky as long as we have not fully understood the relevant feedback mechanisms. 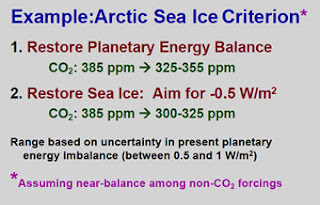 So 350 ppm is the wrong target because 350 ppm CO2 cannot restore the Arctic ice to its full extent. The people who run 350.org probably now recognise that, because their language is changing. One of their slides used to say: “We need to be here: 350”, it now says “we need to be lower than: 350ppm”. McKibben now talks about 350 ppm as being “the upper limit”, and in a recent radio interview said pre-industrial levels might be the only safe zone. But it’s too late to advocate targets that are only a signpost towards the target we really need to get to. Sorry, Bill and the crew at 350.org, you’re wrong about 350 being our campaign target for 2009 and the lead-up to Copenhagen. The most important number of earth is 300. That’s what Hansen is saying, that’s what Schellnhuber is saying. There’s no point campaigning on an inadequate target. We only get one chance at this, and advocating targets that will still fail to fully solve the problem is the most de-mobilising action we can take. Target 300 puts the science first. Interestingly in Australia, where I am based, 350 has not gained wide appeal, with most of the grass-roots climate action groups adopting a 300 ppm target, consistent with the propositions elaborated in Climate Code Red.